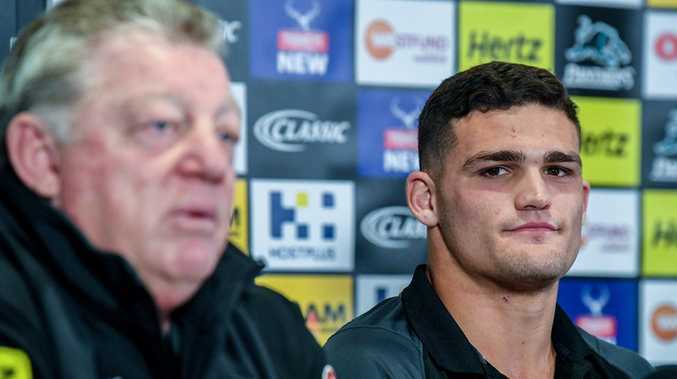 PENRITH boss Phil Gould is convinced locking up star halfback Nathan Cleary for the next six years will help the club retain and recruit players and keep its NRL premiership window open. Cleary committed to a five-year contract extension on Monday, three months after fellow NSW State of Origin representative Reagan Campbell-Gillard penned a similar deal. "This is a contract built on potential, it comes with great responsibility," said Gould, who described it as the biggest deal he had been involved in. "This is still a contract he will grow into over time. "We know that he's going to be an outstanding member of our club and it will also help us retain players, or recruit players if we have to do that down the track." Arguably the most popular player with Penrith fans and members, Cleary opted against waiting to test his value on the market when he would have become available to receive offers from rival clubs. The club will now turn its attention to locking up first-grade regulars Waqa Blake, James Fisher-Harris and Sione Katoa, all of whom are off-contract at the end of next year. The Panthers also have to replace the holes left by Tyrone Peachey and Corey Harawira-Naera. "This year we've extended the contract of Reagan Campbell-Gillard and Viliame Kikau and we've got a few more to do before the end of next year," Gould said. "Salary cap pressure has meant that we've had to move Corey Harawira-Naera and Tyrone Peachey this year. "But we haven't had any player put himself on the market and I'm not surprised Nathan was exactly the same." Cleary's decision has ended any chance of him joining his father Ivan at the Wests Tigers, where his dad is contracted as head coach until the end of 2020. The playmaker still hopes he will work with his father one day and that Ivan will have a second stint at Penrith, where he was coach for four seasons before being sacked at the end of 2015. Gould pointed out Cleary had signed two contracts with Penrith since his father had left. 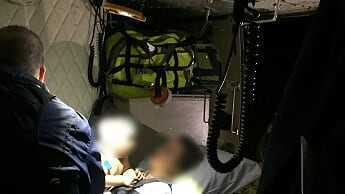 Cleary said: "I've been here since I was 14, so they've pretty much taught me everything I knew. "I came over here from New Zealand. I think if I never made that trip over and Dad never got the coaching job here, I honestly don't even think I would be playing first grade. "I owe it all to the Panthers and I do owe this club."